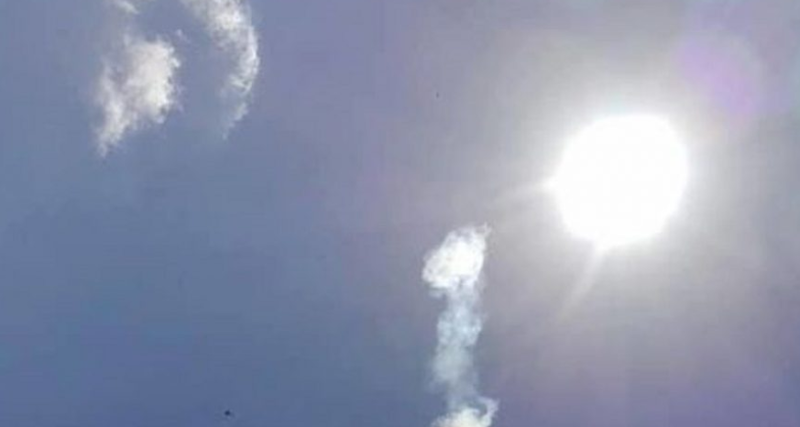 A strong explosion seen this Friday in the sky over the Cuban province of Pinar del Rio (west) and which followed the fall of rock fragments may be due to the entry into the atmosphere of a meteorite , according to state media on the island. Experts from the Ministry of Science, Technology and Environment (CITMA) are investigating the event, which according to island authorities quoted by the online edition of the Granma newspaper, is not an air accident. The explosion occurred after noon, was noticeable in several municipalities of Pinar del Rio and the fall of fragments did not cause human damage but damage such as broken glass in homes and facilities, according to the first reports. "The earth trembled and there was a loud roar with smoke in the sky," local newspaper Guerrillero reported. Shortly after the event, many residents of Pinar del Río began to comment on what happened on social networks and to publish videos and photographs of black and gray stones that impacted areas such as the tourist "Mural de la Prehistoria", in the picturesque Valley of Viñales.